Starting with 2 beautiful cremes, both perfect as nail art bases! This is #03 Olga from the Binary collection, which looks darker and a little more muted green than my pics show. A great color that covered in 2 easy coats, no top coat. Next we have Enamel Gel Effect #1031, a lovely coffee cream that covered again in 2 easy coats, no top coat. I'm so impressed by the Dance Legend cremes, even these lighter colors cover great and apply wonderfully, without streaks! This is #03 Olga with 1 coat of #02 Lissome from the Leo Skin collection. Lissome has leopard spot-shaped glitters in gold and black , and irregular shaped and sized glitters in what seems to be 2 shades of gold. I finished with 1 layer of Dance Legend Go Fast top coat (more on that one in a future post). This polish did need some fishing, there's plenty of the leopard spot glitters in the bottle, but with the size of them I didn't expect much else tbh. Some found their way to my nails with the normal application, but I also placed some glitters myself. 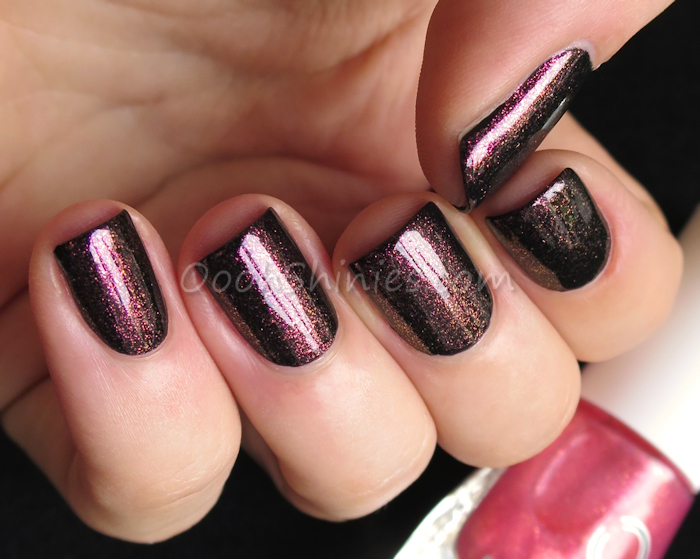 Another Leo Skin collection polish, #4 Savage, shown on Glitter Base Black. This polish will give full coverage in a layer or 2, but since the glitters already stand out a bit, I figured it would look better to not have them pile up or any, so I started with a smooth base. Savage is packed with golden glitter, which leans a tad bit to the green side, and has lots of golden leopard spot glitter. 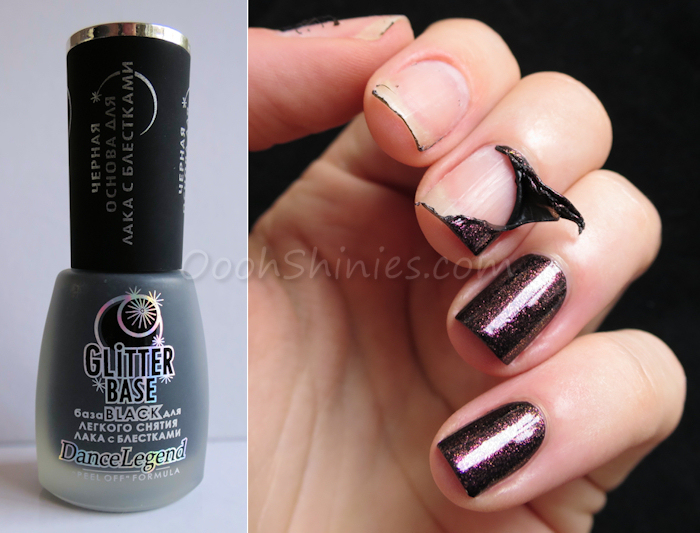 Again some glitter found its own way onto the nail, some I fished a little for and placed myself. And finished with 1 layer of Go Fast as well. I do really like the idea of such an easy leopard mani, but since my nails are quite curvy (some nails more than others), they easily make larger glitters like these stand out. Compare the glitter on the top of my pinkie with the glitter on the bottom left of my ringfinger, one stands out a lot, one is almost fully smooth. So I think these will be better for flatter nails, or really placing them all manually and placing them along with the cruves of the nail (like on my ringfinger), not in the opposite direction. Next we have 2 polishes of the Eden collection, these are clear layering polishes. However, the silvery/white one can probably give full coverage as you can see above. On those 4 swatches, I used 1 coat on my index/middle, and 2 coats on my ring/pink. Full swatches of them below. Oh my! This is #6 Forbidden Fruit on the Glitter Base Black, finished with Go Fast. Yes, this collection has some delicious duochromes as well! The main colors in Forbidden Fruit are pink and orange, but you can see a little golden, and even a hint of green and brown in there as well. And what I really like, is that they apply so even! This is the result of 1 coat. Shown on a black base, because that makes such colors stand out most, but this looks fantastic on a lot of other colors too! And here's a brilliant invention, a black peel off base! 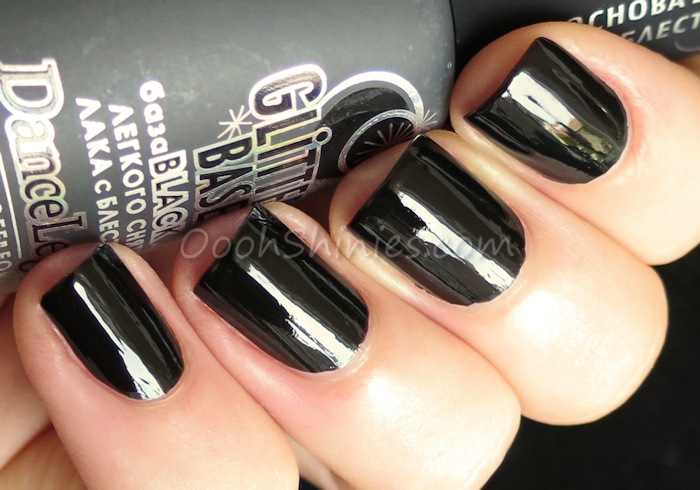 Black is probably the most used color for glitters and flakies, it makes colors pop, and it just combines so well with everything sparkly! But oh, the hassle to remove them... We already discovered the peel off basecoat, but why not skip that step and go for a colored version? I like the way you think, Dance Legend! What's your favorite of this post, and do you prefer smaller posts with swatches, or more swatches in a single post like I did here? Thanks for stopping by and take care! You can buy Dance Legend in their own webshop and in various other webshops, and you can also find Dance Legend on Facebook and Instagram.